Running is, hands down, one of the most effective ways to sheds the pounds and keep them off for good. Countless runners have reached their ideal bodyweight with the help of this simple form of exercise. That said, success is not guaranteed. The right training and eating plan is essential to successful running for weight loss. Otherwise, you’ll be setting up yourself for failure. Just because you’re now logging in serious mileage doesn’t mean that the sky is the limit with food choices. Many report gaining a few pounds as they fat but add muscles, which is heavier and denser than fat. 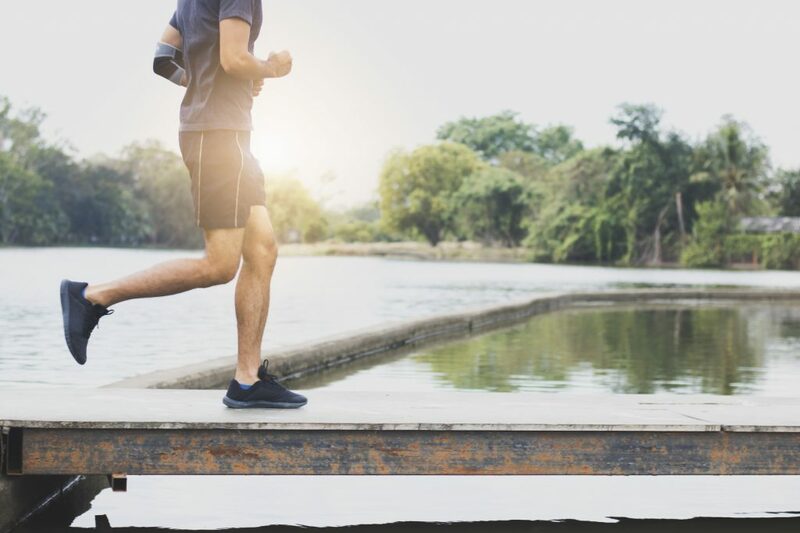 If you ever want to lace up your running shoes to lose those extra pounds, here are seven tips to keep in mind. First rule of successful weight loss running: You can’t eat all that your heart (and stomach) desires and still lose weight. Just a couple of years ago I gained 15 pounds within three months while running 30 miles a week, simply by not paying attention to what I was putting in my mouth. I tried to compensate for the increased activity by eating more, and I was so wrong. Here’ss the main lesson: You’ll only shed pounds by running if you burn more calories than you consume. Weight loss is a numbers game: Calories in Vs. Calories out. As boring as it sounds, that’s pretty much it. To lose the extra pounds and stay healthy while running, you must figure out how many calories you need. Once you know that, use many of the online tools to keep track of your calories and running to ensure that you’re burning off more calories than you’re taking in. Note: Shedding 100 to 130 calories per miles, you gonna have to log in some serious mileage before you shift any body fat. Once you know your daily calorie needs, it’s time to set goals. Not any goals though. Your goals have to be realistic. Otherwise, you’ll be setting yourself up for failure. Losing weight while running is going to take you a while. 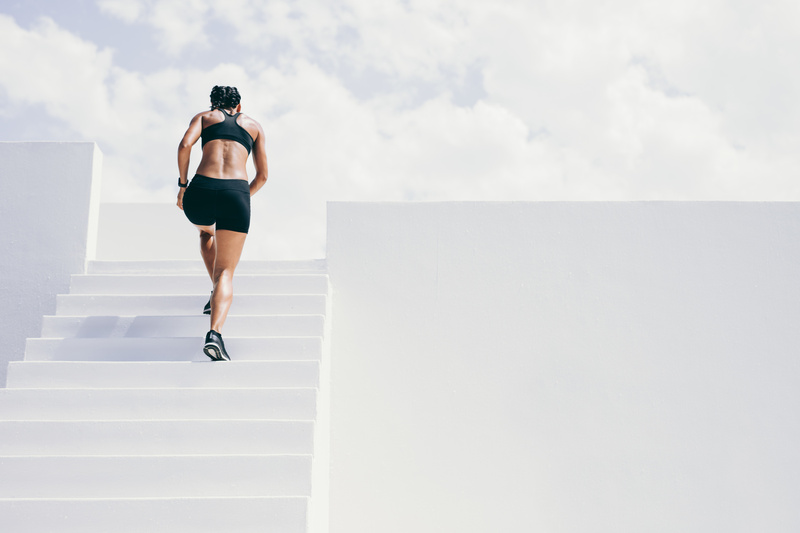 Many runners, especially enthusiastic beginners, fall into the trap of setting a stereotypical goal weight, regardless of their fitness level, lifestyle, and body type. Here’s the truth. Everybody and every BODY is unique, and your ideal weight for optimum energy, performance, and health might not be what society says it should. Since roughly 3500 calories is needed to shed a pound of weight, it’s likely that you’ll drop no more than a couple of pounds per week. Instead of setting unrealistic goals, go for achievable goals. Aim to lose no more than two pounds a week. It might also be helpful to expand beyond the scale and overall weight to also include goal body fat and a few body measurements to keep motivated and objective on your journey. The more miles you run, the more calories you burn. That’s just simple math. Research conducted at the National Runners Health that assessed more than 120,000 runners found that the runners who logged the greatest amount of weekly mileage were the leanest. Depending on many factors, such as size and training intensity, expect to burn roughly 100 calories per mile when running. That might not seem like, but it piles up the longer you train. Just remember to take your things slow and increase your mileage gradually. You’re not going to drop six pounds in a week by running 12 miles instead of 5 this weekend—even worse, you might hurt yourself. And you don’t want that. Once you can run for 60 minutes at an easy pace with little huffing and puffing, increase intensity. Why should you do so? Quite simple. When it comes to shedding mad calories, increasing training intensity is key. 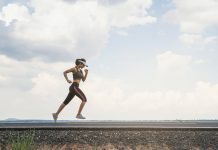 Research out of the University of Guelph in Ontario Canada revealed that interval training—a form of training that consists of burns of speed followed by low-intensity recovery intervals—burns more calories and improve fitness more quickly and faster than low-intensity, steady-state exercise. Start the session with a 10-minute slow jog warm –up. Next, run as fast as you can for 30 seconds, then jog slowly or walk for 30 to 60 seconds as recovery. Repeat the cycle for 20 minutes then wrap it up with a decent cool-down. The intensity level you want to aim for is where you’re out of breath, but still able to keep up the intensity for those 30 seconds. You cannot improve on what you can’t measure. This quote is one of my favorite management quotes. It also works very well for managing your calorie intake. One of the best ways to prevent mindless eating and stealth calories intake is to keep track in a journal of everything you’re putting in your mouth. Doing so might sound tedious, but it pays off. Believe me. Plenty of studies found that people how monitor their food intake via a food journal lose more weight and keep it off for longer than those who don’t take notes. A recent study conducted by the National Institute of Health reported that subjects doubled their weight loss when they logged their food intake regularly. Keeping track of your daily diet choices and reviewing it regularly will help you see and get a bird’s view of where your diet needs improvement. When you see how that donut or bag of cookies adds to your daily caloric intake, it might be easier to eliminate. Assessing these details on a regular basis will help glean vital information about your habits and what needs changing. It will also highlight ways you can make healthier choices. Start by logging everything you eat for at least one month, making sure to keep tabs on important details such as macro breakdown, calorie intake, timing of the meal, etc. The above running for weight loss guidelines are all you need to get started shedding those extra pounds and keeping them off for good. The rest is just detail.